Baby Hazel Rapunzel Mini Games	How to Play? 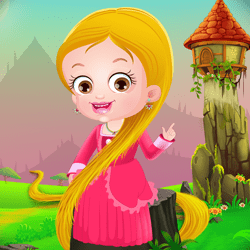 Explore a world of Rapunzel full of fun mini games. Come along to enjoy tons of fun games including Puzzle, Hidden, Word Games, Spot The Difference, and many more! 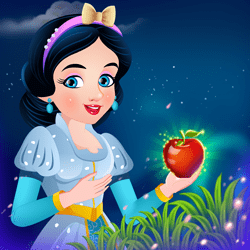 Game 1: Rapunzel Sliding Puzzle Welcome to Rapunzel Sliding Picture Puzzle. Move the pieces to their correct location to find a beautiful scene from Rapunzel fairytale. Be quick as you don't want to run out of time! How to Play: Slide the pieces around and fix it at its right spot to form a complete picture. Game 2: Rapunzel Hidden Surprise Explore the objects hidden in Rapunzel's world. Use the magnifying glass to reveal hidden secrets. So are you up for this challenge? Game 3: Rapunzel Scrabble How well do you know Rapunzel story? Test your knowledge by playing this fun word game. Complete all the levels to have fun! How to Play: Recognize the image on the left and tap letters on the right panel to make the correct word. Game 4: Rapunzel Spot The Difference Can you spot the differences in these beautiful pictures? Game 5: Word Search Game Welcome to Rapunzel word search game. Words from this enchanting story are hidden in the letters grid. Can you find them? How to Play: Find and tap on all the words hidden in the grid.